Fear is louder than Love because it knows it’s not as strong. Fear has seemed more prevalent than ever in our world today. The level of fear propaganda has reached a 24-hour-news-cycle pitch. It can be disheartening to see politicians that are inept, insecure, and ill-equipped to lead, using fear to control people into giving them attention and votes. It is not easy to watch wars that kill people become a slogan with passionate music and thrilling graphics. Or an issue that needs some real attention become a ratings bonanza rather than any care to create resolution. Fear is a money making machine for news media. At least a scary movie is clear about its motive. Fear is louder than Love because it knows it’s not as strong. Fear knows it is weak, that is why it is loud. Fear knows there is power in numbers, that is why it is loud. 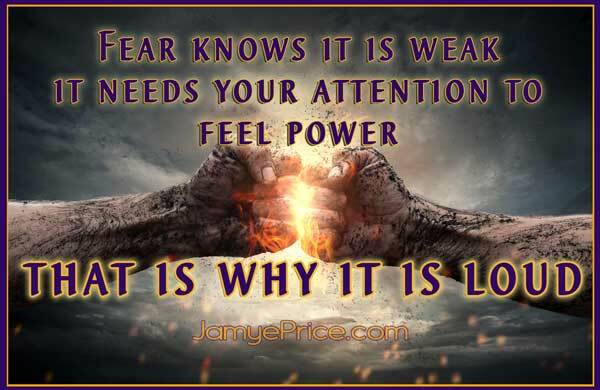 Fear knows it needs your attention to feel power, that is why it is loud. But you can actually shift your energy from fear to empowerment with some focus. In this way, the media becomes an opportunity for you to enhance your choice, your focus, and your loving energy. That is the opportunity of any challenging emotion or experience. Fear is a powerful one, but you are much more powerful. Fear is a survival mechanism that is a response to an unknown. That is all it is. It has served a vital function throughout evolution as our “fight or flight” response helped us survive in dangerous outdoor conditions. As with all life, humanity continues to develop new ways of ensuring safety and survival. In our time, our survival leans more toward health and financial security, rather than predators in nature. Yet, your body still has very specific and automatic fear reactions—like fast and shallow breathing, lack of blood to the digestive system and intensified blood flow to extremities, heightened sight and hearing. Our world today has a lot of stimulation that pushes our fear buttons, but mainly without the immediate threat of survival. Fight or flight will trigger when it is needed, but what occurs most often is people stay in a vague sense of danger that becomes a normal mental and emotional state. Job security, terrorism, social acceptance, relationship, or ego fulfilment; these all get pushed into our psyche through news, media, or society. This keeps the body in a constant state of slight fear-response. Therefore health issues, coping mechanisms, and trigger tempers become prevalent, rather than self-soothing, relaxation, or comradery and self-observation. Fear is now mainly a survival mechanism of the ego. The ego itself is not a bad thing. We tend to think it is bad because our societies have been led by out-of-balance ego that conquers for power and control. The ego is merely an instrument of identity, something that is necessary for the physical experience and even its evolution into greater connection. For societies to change, empowered individuals must grow within and balance their own ego, then reach out and connect with wisdom, strength, and compassion. The ego utilizes fear to keep the physicality safe. Oddly enough, whatever is occurring, you have survived, so it’s best not to change anything according to the ego. We are maturing into a species that recognizes the futility of this. Because people are at different levels of ego balance, some will feel more comfortable with change. An imbalanced ego and fear of change blocks progress and slows evolution, especially as the larger systems of society are not pliable to change. When the ego is balanced, a person has a healthy understanding of their identity and care (Love) for the self. They understand their value, their capability, and even their limitations. With this self-love, the balanced ego does not feel the need to dominate others, be better than others, or maintain power over others. The balanced ego sees all others as similar to the self—unique, valuable, and also on a path of discovering the self. If one is too controlled by fear, it manifests in two extremes; push outward or pull inward. Some respond to fear by pushing outward (too much). It has the emotional identity of, “I’m better, I earned through my power, weaker deserves to be conquered.” These people use anger, control, give/then take away to manipulate the world around them and therefore not feel their fear as readily. It feels like such a different energy than we associate with fear, that we usually assume they aren’t fearful, they are strong. In essence, they are so weak that they consistently overcompensate in order to not deal with their own vulnerabilities. The pull inward fear response justifies lack of action, while the push outward fear response justifies all actions. 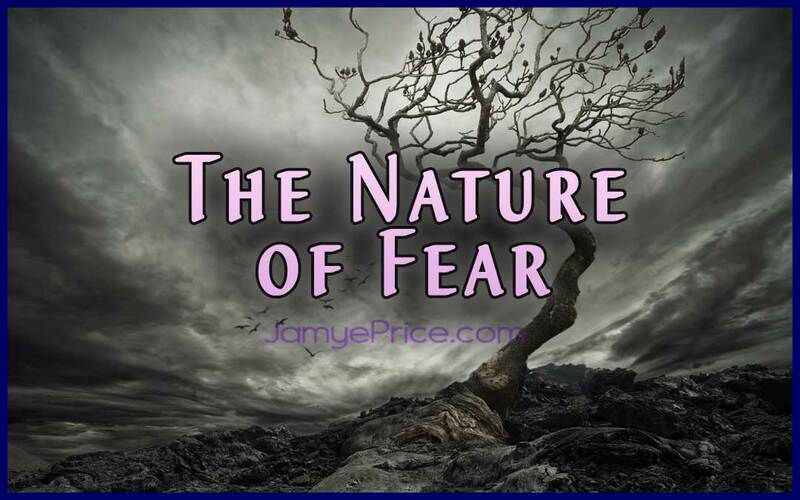 Fear is like a governor on your energy field, your mental state, and your emotional state. Fear slows you down or speeds you up based on impulse. This is why humanity becomes steeped in “fight” (push outward – dominate/control) or “flight” (pull inward – run away from life), rather than seeking new resolution with wisdom over impulse. This dynamic of the pusher and the puller is the duality experience that humanity has been living for centuries upon centuries. It is ultimately a natural experience in the world of physical focus. You must conquer your environment to survive. Merely finding shelter and safety is conquering your environment, and it is necessary for the next step from surviving into thriving. This same mechanism of fear can lead to progress. Fear in and of itself is not a bad thing. 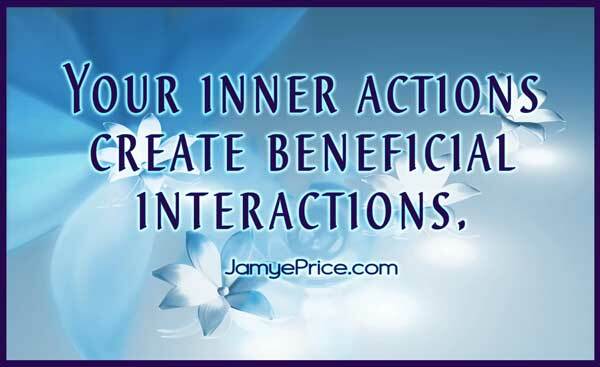 It’s how you choose to interact with it. It can lead you to new solutions that result in thriving with Life. This is the path of Ascension. This reality and all that it offers is the perfect platform for progression. To move beyond the limitations of duality, you integrate the two sides of fear—when to push outward or pull inward to integrate wisdom. This creates vibrational coherence within you and with your environment, even that with which you disagree. This coherence offers you a strength within that is not overwhelmed by the outside. 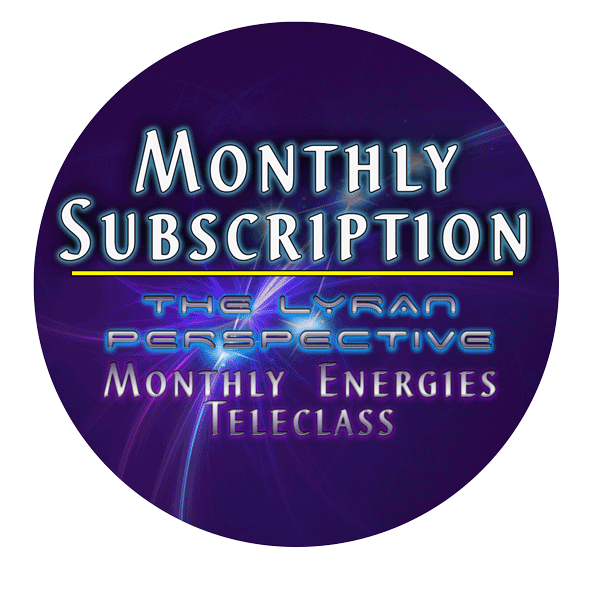 Your vibrational coherence within and “with” the environment around you (people, governments, systems like money or religions) anchors a new frequency within the environment because your energy field is always interacting with the environment. Eventually the 100th monkey begins to see a new way. Balancing the ego is necessary for enlightenment. This inclusive universe does not obliterate, it consumes into transformation for progress. A balanced ego integrates the human experience into a divine human experience. The path of Ascension is merely the natural evolution of humanity into a conscious connection with the subtle realm, rather than sole focus on the physical realm. The subtle realm has always been there and we’ve always been interacting with it. We are still going to interact with the physical realm. But we are moving into more conscious interaction in all ways—within the self, with others, and with life. Fear has its positive and negative, just like everything in this perfect experience of duality. If you live by impulse, then fear will continue to lead your experience. If you make some effort to observe your impulses and nurture yourself into wisdom, then you will transcend fear, consuming it as fuel for your changes into more of yourself, more empowerment, and more conscious connection with life. You transform. You actually use the mechanism of the negative aspects of fear, and balance them. Is this a moment to pull inward and reflect on choices, look at motivations, find a new perspective? Is this a moment to push outward and take a chance, learn from practice, experience your potential? Fear is a mind game, so first, use your mind. To begin the untangling of fears, use your mind to observe, compare, analyze, and build potential choices. Your mind is a divine mechanism of information flow. Your beautiful mind is meant to define, deconstruct, and detail information (left-brain flow). 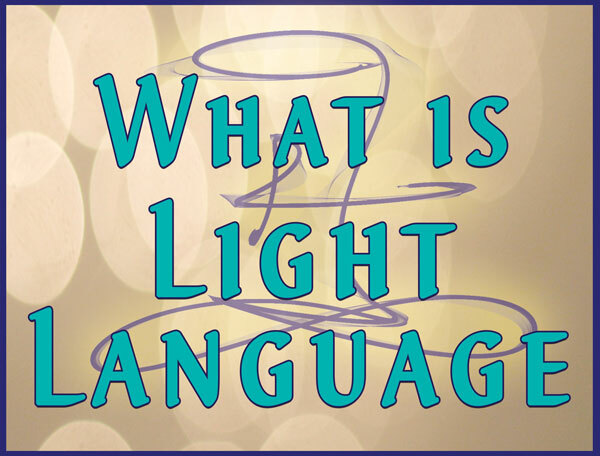 It is also meant to conceptualize, connect, and create (right-brain flow). 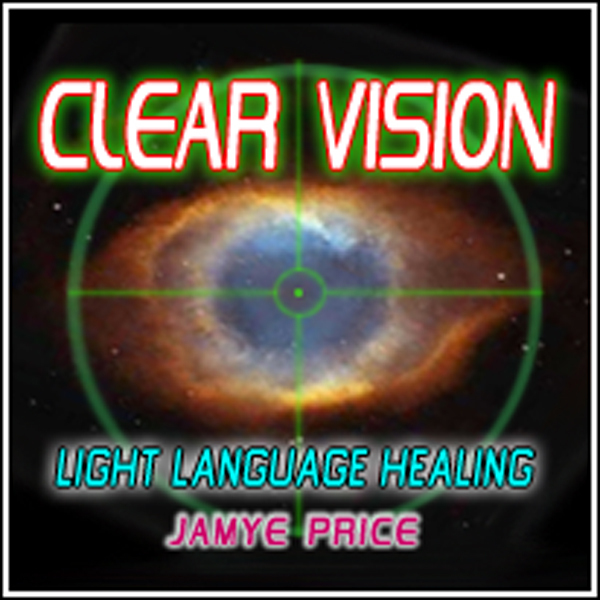 These dual brain functions, when utilized, provide you the platform to transcend fear, integrate information (in-form-ation) into choice, action, and new creation. Your divine, creative nature flows from all experiences. Potential is within everything. Most especially, you. I’d like to offer you a personal example and show you how to soothe your ego into progress. Years ago I was watching some show about Hollywood, maybe something like up-and-coming actors or something. It showed this beautiful woman, and all of a sudden I thought emphatically, “If she walked in my boyfriend would want her instead of me!” I wasn’t even in a relationship! This wasn’t anything close to a reality, this was an impulse. I was shocked by the experience—that my mind would think that so quickly and emphatically. I wasn’t completely surprised to discover that fear was within me, but I was a little surprised because I would have thought I would only react like that if it was a real danger. But I had a fear in me that was now coming to light. Be grateful that it has come up. It doesn’t matter if you’ve “worked on it before.” Here it is now. Be grateful that it has come up. Be grateful to yourself, it shows you have an intent to heal. It shows you have courage to change within. Be grateful to yourself. Be grateful to your ego. That sweet little ego of yours is trying to help you survive. That is all it is trying to do. It’s not blocking your enlightenment, it is actually a key to your enlightenment. It’s not fooling you, it’s informing you. It’s doing a great job at helping you to survive. “Thank you, sweet ego. I appreciate your help.” That is your right-brain flow that creates connection. You created a sense of safety when you appreciated your ego. You recognized its value and opened a door of connection. You are now connecting with yourself, connecting dots (of fear), and consuming a fear into progress. The deconstruction of it allows those dots to form a new picture. Here’s what I did in my specific example. After I thanked my ego, I detailed the information, as if I was having a conversation with my ego. This dialogue may have to happen many times. You may have emotions that surface. Let them flow into a release of pent up water that was damming your progress. Soothe the self through dialogue that is reasonable, respectful, and SOMETHING YOU BELIEVE. I didn’t try to convince myself I am the most beautiful woman in the world, and that one day I would find my twin-flame soul mate that never looked at another woman. I reasoned with myself in a loving way that accepts the reality that love is scary, exciting, an unknown, and yet entirely possible and wonderful! That puts you into a state of authentic neutrality where you feel safe to expand. While the mind is a first step, it is not the only step. It never truly works alone, the heart is always flowing emotions and vast amounts of information. However, humanity has not often been taught to value the process of self-observation and soothing the self into balance. Because we have generally been taught to suppress emotions, we are not certain that they can flow through and transform. We are not certain that once the deluge is released that we will survive. We are not certain there is value in allowing them to flow. We have also been taught that the mind is more valuable than the heart, and its great function is figuring out how to conquer! What we are learning is how to use the mind to work for us in many different ways, and integrating its full usage into connection with the heart. The mind deals with information that is known. It pulls from the past and what has been “learned,” (sometimes consciously or unconsciously) and applies that information to the present and future. When the mind is connected with the heart, it finds potentials that are yet unknown. Courage is in your heart, not in your logic. Where the two meet, wisdom begins to form. To begin to create, you flow emotion into your mind – imagination. Your “i-magi-nation” is where the magic begins and you create a new world (nation). Positive thinking isn’t about avoiding reality, it is about neutralizing your sweet ego’s fear impulse into new potentials. The imagination is where you begin to create these potentials, then your actions are inspired from that new breath of Life you have breathed into your self. In my example above, I would begin by imagining relationship. I always recommend going vague if the details overwhelm you. I would sit with the intention of spending a few minutes gazing out a window and imagining relationship. There’s one thing your mind will naturally want to do: go with what’s familiar. So the settings, people, and situations may feel familiar. That’s ok. Seek the emotion of the imagination, rather than the details of what you are creating. Go with happiness rather than ‘six feet tall, makes a great salary…’ You can have some preferences, but keep them general at first so that you allow your subconscious to come into your conscious mind. Here’s what happened when I began this exercise diligently, I would end up in a highly dramatic situation and fight with my imaginary boyfriend! I would chide myself, “I’m not focusing! I’m not doing this right! I’m creating what I don’t want!” It would happen almost every time. The fight would change a little, though there were themes. Once I recognized a theme, I would delve into the gratitude and deconstruction steps. I kept with it. Occasional and short times of focusing, then the fight would start. Gratitude. Deconstruction. Creating. Ugh, another fight! Gratitude. Deconstruction. Creating. Finally! I had a session of imagining without a fake fight! Progress. Ugh. Another fight. Gratitude. Deconstruction. Creating. Lather. Rinse. Repeat. It began to be fun. And I enjoyed the process of discovering more details within my subconscious mind. Do I fear something? Do I feel resentment, obligation, powerlessness, victimhood? Do I have a belief that is polarizing me to impulsive behavior rather than choice? It is important to self-observe with authenticity, rather than trying to only allow positive thoughts in. You’ll get there, don’t worry. Just observe and let your subconscious mind have the freedom to flow truth to you, and your heart to have the courage to connect you to a new potential. Where your heart and mind meet is where wisdom begins to form. Your imagination is their playground. That bully, fear? He just wanted to feel safe and be accepted. She just wanted to feel safe and be respected. He just wanted to have fun and not be afraid of making a mistake. She just wanted to have fun and know that she is creative and valuable. That is what fear can teach us, the amazing gift that we are. All it requires is that we soothe it into evolution through the safety of Love. That courage begins within. Your interactions with life change. Eventually, the world starts to change at a more rapid pace, because fear no longer has a grip on wisdom. It opened a door within you to your courage to Love. Weird! Your example is exactly what I’ve been going through. Thank you for the insight – I’ll practice your example. What a beautiful text! I lost my dear husband one week ago???? The most wonderful man, and now my Fear is how I can manage to Get loan in the bank, so I May still live in our new appartment. We sold the house because he was very sick and Could not take care of the big garden and the house???? I’m sorry for your loss, Rani. I know your path will heal and progress. Prayers for a speedy healing, dear one. 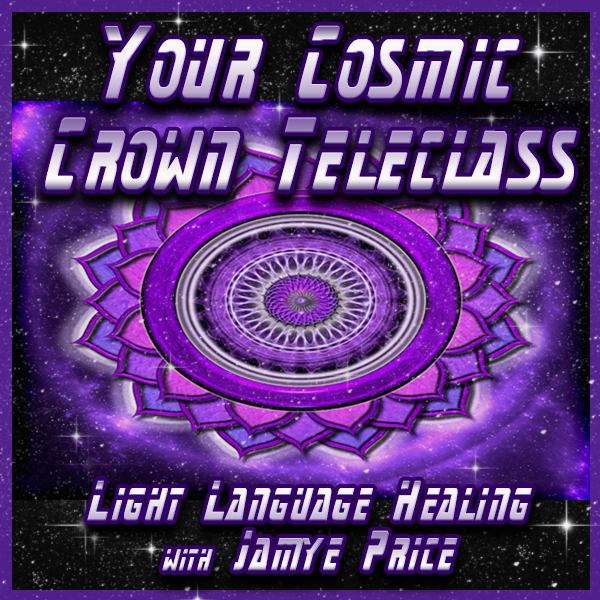 Jamye, this message appeared to me in perfect timing 🙂 Thank you for sharing your wisdom and lighting the way for those who are ready.